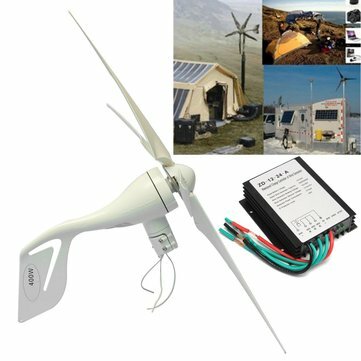 Wind turbine is not only light weight, small size, shape is better than similar products. The motor uses a unique magnetic circuit design, so its starting torque is very small, so it can effectively guarantee the TS's breeze start capability. Wind turbine design of wind turbines in line with the principles of aerodynamics. Leaf material using high-strength plastic plus 30 percent of carbon fiber elements and anti-UV anti-corrosion materials synthetic injection molding. Wind wheel running smoothly, reliable, quiet.